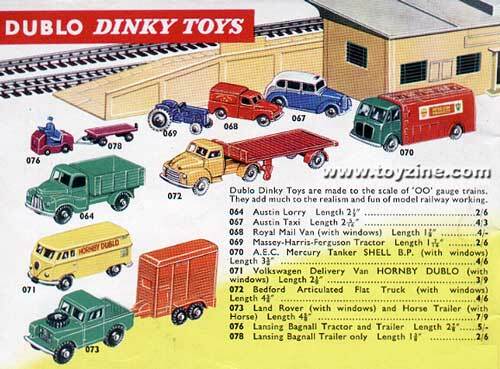 In the early 1960's, a wonderful yet short-lived range of Dinky Toys was produced, under the banner of 'Dinky Dublo'. Some fabulous 00 scale diecast vehicles were made, but alas mediocre sales at the time led to their downfall. Today of course they are highly sought after. 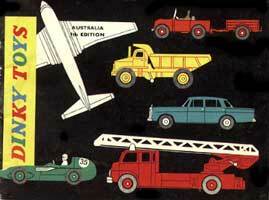 Illustration from a Dinky Toys 1961 International Catalogue.